If you wanted to create Lloyd Kaufman artificially in a laboratory, you would have to use DNA from Herschell Gordon Lewis, William Castle and Luis Buñuel. Bare minimum. 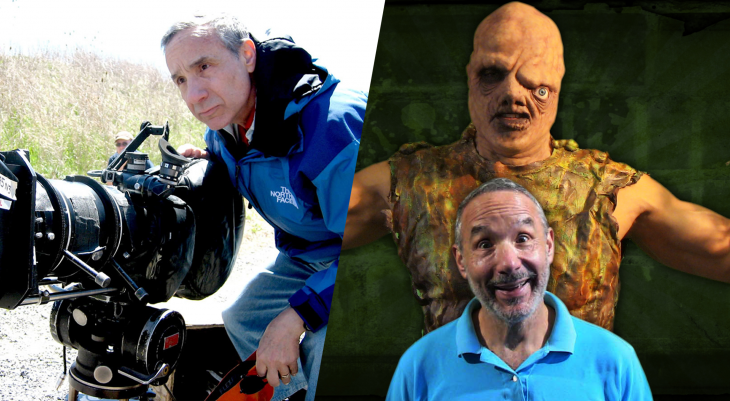 For the past forty years, Uncle Lloydo has (together with Michael Herz) made the fortunes of the oldest independent film studio in the world, Troma Entertainment. In his guts some of mangiest, wildest, smartest and best exploitation films of all time were created – more than a few of which Kaufman has even managed to adapt for the stage. Diarrhea fountains meet Brechtian acting, bad jokes are joined to surrealistic set design, and excessive violence is used as a tool for social criticism. However, the influence of Troma extends far beyond the pop stars of the studio (e.g. Von Toxie, the Toxic Avenger and Sgt Kabukiman). Kaufman and Herz have always been promoters of young talent in the exploitation cinema, and both GUARDIANS OF THE GALAXY-director James Gunn and the SOUTH PARK creators Trey Parker and Matt Stone have learned all about film production from Troma, and Lloyd Kaufman. The studio itself, as well as festivals such as ‘Troma Dance’, have been a solid testing room for ideas and concepts outside of the mainstream. Troma is now in his 41st year of ‘reel independence’. The / slash Film Festival is very proud to welcome Tromaville- Mayor Lloyd Kaufman to Vienna. It’s time to get TROMATIZED !! !